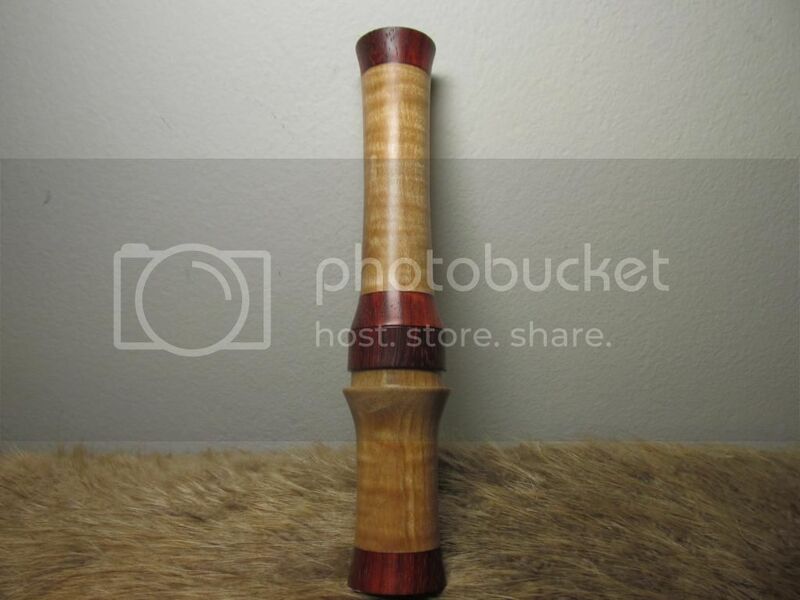 Anyone use Huts new WebWood for a call yet? kind of reminds me of the old Olt calls. Phenolic resin is a heat-cured plastic formed from a reaction of a carbon-based alcohol and a chemical called aldehyde. Formaldehyde is a common raw material for this type of resin, but others related chemicals can be used. The resin is hard, heat resistant, and can be mixed with a wide range of materials for industrial and residential uses. "If you want me to agree with you, I can, but then we'd both be wrong"
Webbwood comes in 5 hardnesses. This is the second to the hardest level. It sounds to me like this will be the dymondwood replacement, and the hardest level will compare to dymalux. My further guessing is one softer will be like colorwood, second softest will be like spectraply, and the softest will be light. It may be that the softest is like spectraply, I am not sure. I am still blown away that there are no call maker testers for these woods that frequent the forums or FB groups. I am looking forward to seeing what HUT offers. The spectraply crew opened their own store on January 1st that has some pretty affordable options with no middle man. I hope they can keep it stocked this time around.